Luke Goldsmith's stunning bespoke and exclusive jewellery collections have been treasured since 1995. Luke’s talent for beautifully handcrafted jewellery and unique design has gained him great success in the heart of Canterbury. The house of Luke Goldsmith specialises in working with coloured gemstones, giving a vibrant distinction to his work. Each collection is inspired by something special, whether it’s a bohemian feeling or fairytales. Within the collections themselves come nuances in shape, colour and materials. 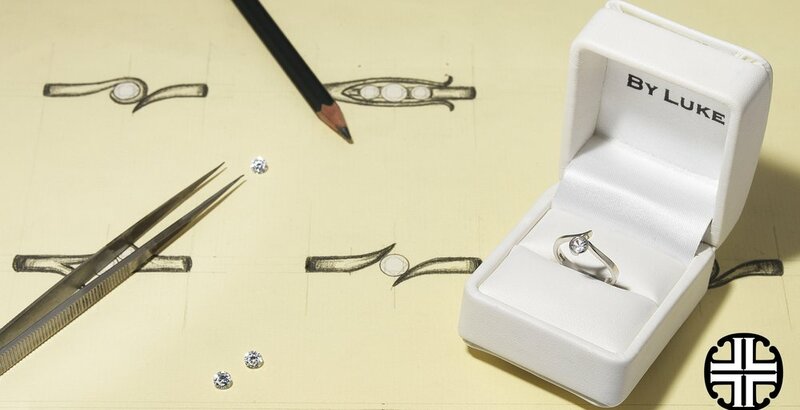 Each piece of jewellery is made in our in-house atelier, so each piece is truly unique. "If you wish to live and thrive, let the spider run alive"
Luke's inspiration for many collections stem from the 1920's Art Deco style. Another prominent influence is the femininity of Victorian beauty and form, a time when jewellers were commissioned to make pieces with style and flamboyance in a 'worn to be seen' world. These styles are evident in Luke's elegant designs, reinvented with his special signature twists on nature, culture and history - which all have a theatrical touch.